Used Construction Equipment, Salvage Trucks, Industrial Equipment for Export! Computer & Salvage Equipment, available for Export World-Wide by Ninh Truck! 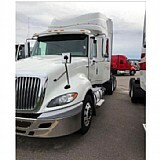 Request Price Quotes & Order Parts for Your Heavy Trucks Here!